The new year always gives me the energy to tackle projects in my house. So I have decided to redecorate and paint my spare bedroom. I know most people would do that in springtime but I am fortunate to live in Phoenix where it feels like spring with our unseasonably warm weather. I love the instant gratification that comes from painting. It can reenergize a room overnight. Typical of this time of year, I look forward to discovering the new “color of the year”. This year, it is Pantone’s Radiant Orchid, referred to as a “harmony of fuchsia, purple and pink undertones.” Wow, pretty bold! Not that I am totally afraid of bold colors. Believe it or not, the spare room is currently orange! I have discovered that I am much more adventurous when it comes to color than I was years ago. However, I don’t think I will paint my room Radiant Orchid this time around. But I would consider it for accent pieces or pairing it with complementary colors. 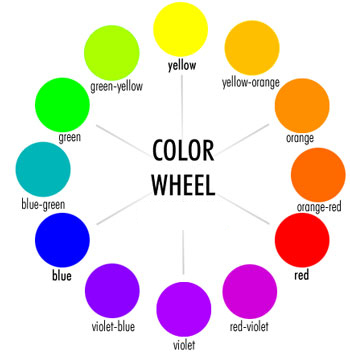 Other colors to consider would be “analogous colors” which are colors adjacent to each other on the color wheel. For Radiant Orchid this would be violet-blue and red-violet. If you are looking for inspiration there are tons of pictures on Pinterest to help you work with the color, including our Pinterest board, “The Color Purple”. Of course, the vibrant color like Radiant Orchid can liven up more neutral colors like taupe, gray and white, too. I came across some great ideas and pictures for you to consider in an article entitled “How to decorate with Pantone’s Radiant Orchid”. So I am off to revisit my color wheel and decide what my color of the year will be. We would love to hear from you. Share your experience with Radiant Orchid!